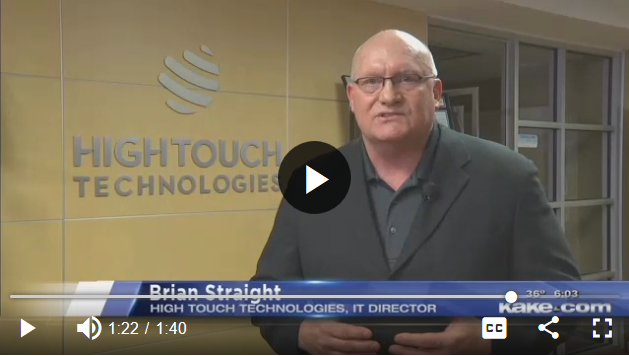 Wichita, Kan. – KAKE News recently visited High Touch Technologies’ headquarters to educate viewers on how to keep their digital identity safe on #GivingTuesday and throughout the holiday season. During the visit, KAKE reporter Lily Wu interviewed High Touch’s Ross Jordan, Microsoft Practice Development Director and Brian Straight, Director of Internal IT. Avoid using public Wi-Fi, especially when shopping online. Update your phones and computers regularly. Only make purchases through secure websites. Avoid using debit cards linked to your primary banking account. Next PostFeeling Bloated After Thanksgiving?